You see them all the time as polished finished products, but for those looking to try the ultimate do-it-yourself home-building project, these videos will help show you how various ISO container houses were really built in different environments and at various budgets and scales. From timelapses and diagrams to interviews and walkthroughs, they will help introduce you to what someone attempting a similar endeavor could or should expect along the way. 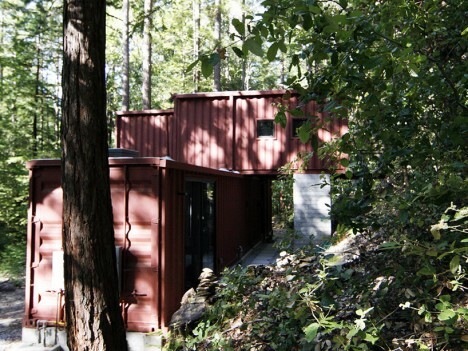 In this HGTV segment, you can get an overall sense of how the Seattle architects of Cargotecture shifted two containers to create a livable container retreat of their own. The result is as much an experiment and demonstration model as a working residence, and a good introduction to what is possible and what can be problematic. 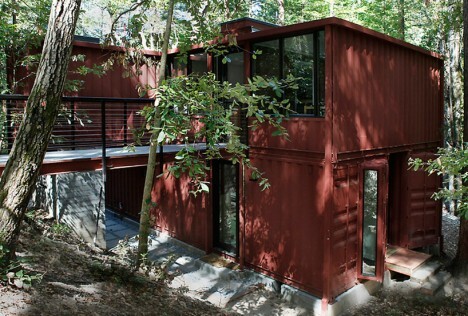 In this timelapse footage and subsequent tour, you can see a whole multistory house, designed by David Fenster (filmed by FairCompanies) for the Redwoods in the Santa Cruz mountains, coming together in a single day. 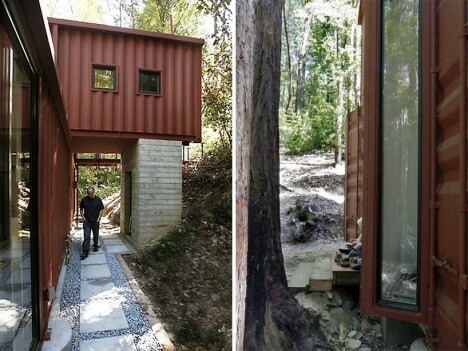 The structure celebrates the industrial aesthetic of its containerized components, but also reflects the difficult reality of moving building materials out to such a remote location. Part of the building is cantilevered over one side, supported by a hollow concrete column below (that in turn also contains an outdoor shower). The layout uses the space between shipping containers to let in light and widen spaces beyond containers while also framing views. The steel shells also make the building more robust, resistant to natural disasters like falling trees and forest fires. Perhaps one of the most audacious shipping container structures ever attempted, this dream ‘Sea Can’ home of Bill Glennon will have 31 total containers when it is completed, using solar for heat and electricity and boasting a windmill as well. Amazingly, some containers are turned vertically, creating turret-style protrusions making the whole thing look like a modern-day castle in its early stages. In the first film, Bill introduces the project. In the second, he gives a brief tour of the interior and explains some of the passive and other sustainable strategies going into the design. In the third, you can see how massive the almost-finished project turns out to be. Meanwhile, a series of videos from ContainerHomes.net shows the step-by-step process of constructing a small-sized, single-shipping-container abode DIY-style in Costa Rica, highlighting the actual tools and time required for such an undertaking. 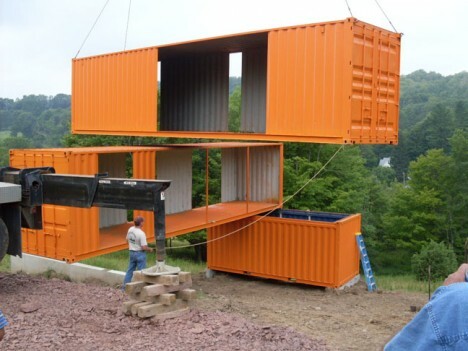 After all, a container is made of metal and can require a great deal of additional work, particularly when it comes to adding doors and windows, even if it is in a location that does not require a foundation or insulation. Unlike some of the other video series shown here, this is a start-to-finish look at a low-budget cargo home solution, including a walk-through of the modest final product. 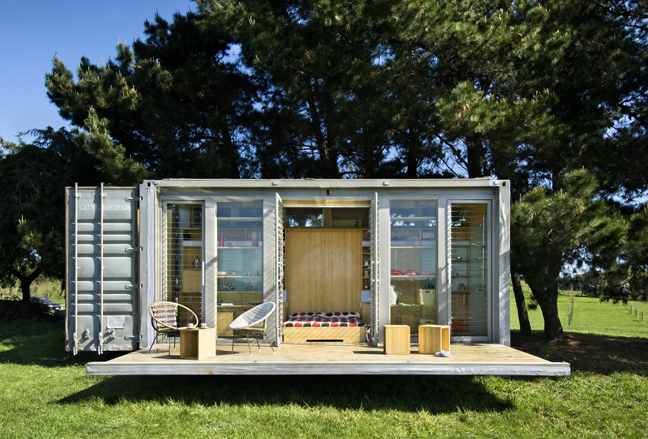 Not sure where to look next for inspiration on what or how to build your own cargo container home? Here are 30 additional cargo container homes, 30 container offices, 20 cargo city and container shelter concepts, and some additional cargotecture. Whatever you do, keep in mind that building codes vary between cities, states and countries, and climactic demands also impact what degree of finish your shelter may require.